The Meadowlands Commission recently participated in the first World Parrot Count, an informal count done by a group called cityparrots.org. We reported the 30 Monk Parakeets in Ridgefield. 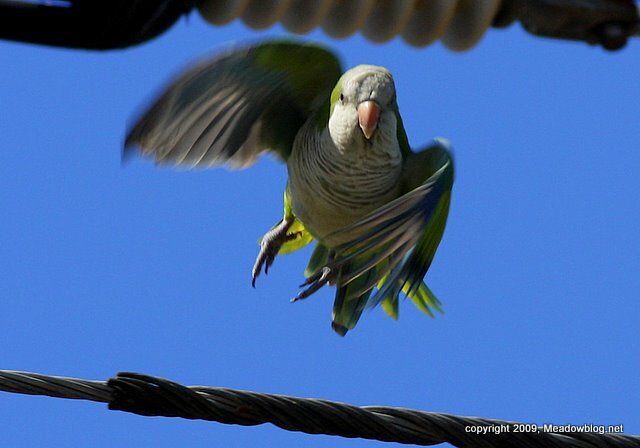 In all, 1,931 Monk Parakeets — Myiopsitta monachus — have been counted so far. The count has received results of at least 38 parrot species from 23 countries so far. Full results, and a note from the organizers, follow.